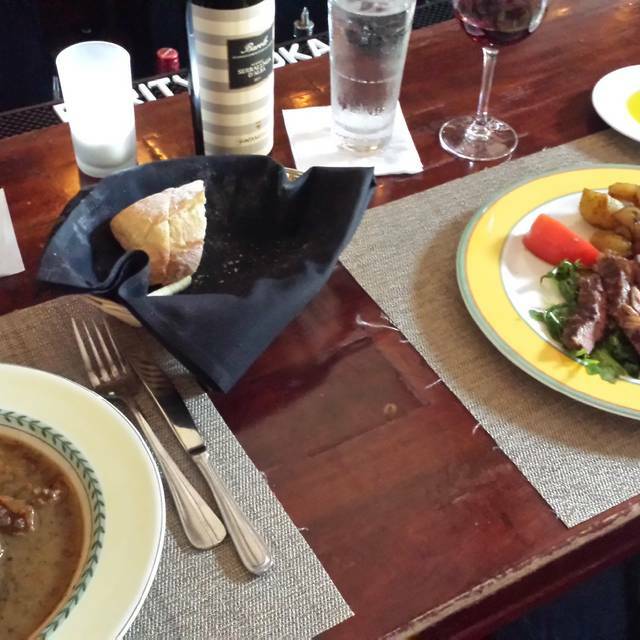 You must make reservations at least 5 minutes in advance of the time at Antica Posta. Caprese salad: Italian buffalo milk mozzarella, cherry tomatoes, basil, Tuscan e.v.o.o. (medium or medium well) Best Veal Chop in the City 14 oz., perfectly trimmed, sautéed seasonal vegetables. Excellent meal per usual! Great service and even better food. Can’t wait to go back for our next meal. Our dinner was fantastic as always. Thank you Marco for your warmth and hospitality! My wife and I wanted to try someplace new to celebrate our 25th Wedding Anniversary and picked Antica Posta. It turned out to be a great selection. We were seated in the lounge area which was quiet that evening and well spaced so you don't feel like you're right on top of other diners. Food was beyond fabulous! I had the Osso Bucco that was beyond 'fall off the bone' tender and my wife had the veal chop. We shared the grilled octopus for an appetizer and can honestly say I've never had octopus that good! Attentive but not overbearing service along with professional staff made this a great experience! This could be the Village in NYC or a charming restaurant in Tuscany. Truly a dining experience not to be missed and to be repeated time and time again. Food was great but unfortunately we were seated next to an obnoxious group. I wish I had asked to be moved as there were open tables in the restaurant. 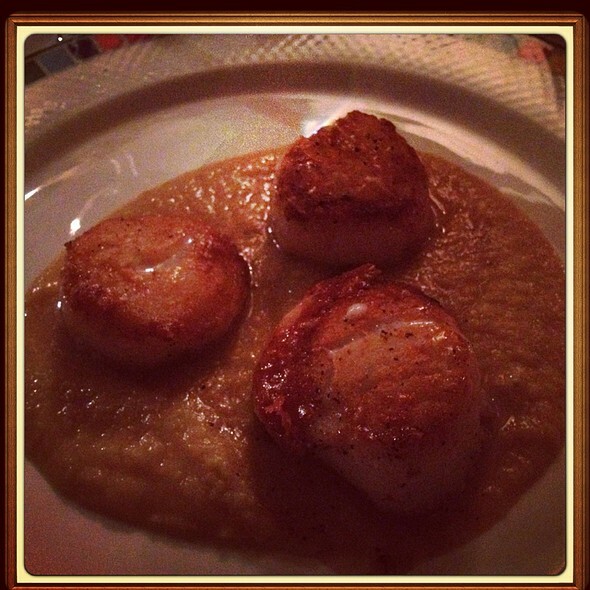 My husband and I dined at Antica Posta last night and it was excellent as usual. We really enjoyed the appetizers we chose: octopus and also scallops with black truffles. For our entrees, I had the spinach ravioli and my husband had the veal chop. 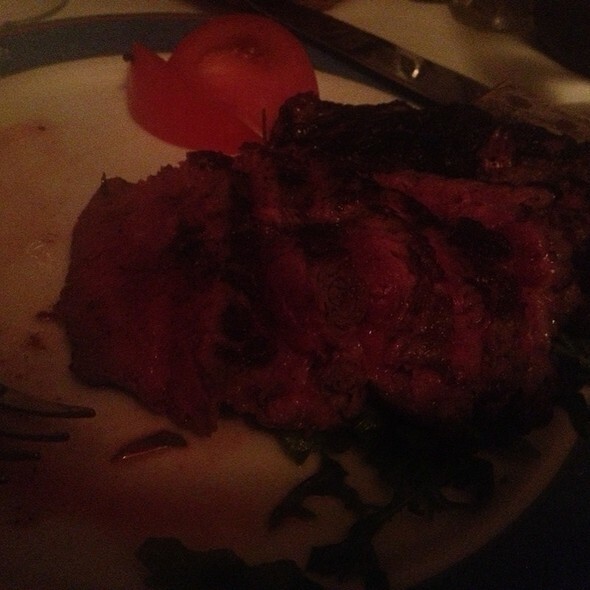 Everything was excellent and the service was so professional and friendly. We can’t wait to come back! Visiting ATL but would plan to go back. the owner came by a few times and made us feel that we were in his home. great recommendations on the entrees and the veal chop was amazing!! Food was great as usual. One of our favorites. Authentic Italian, Best in town. Best authentic Italian in Atlanta! We came here to celebrate family closing on a house and everything exceeded our expectations. Incredible service and friendly, professional service. Thank you, Marco and all! The food and the service were impeccable. Already deciding what I will order on my next visit. Everything was excellent! We were celebrating our daughter’s 30th birthday. The food was incredible- every dish was delicious and we all enjoyed everything we ordered. The service and atmosphere made our special occasion even more wonderful! Not only the most authentic Italian food this side of the pond, absolutely the best restaurant in Atlanta! The food, the atmosphere, and the wine ...all amazing! We had a delicious birthday celebration. 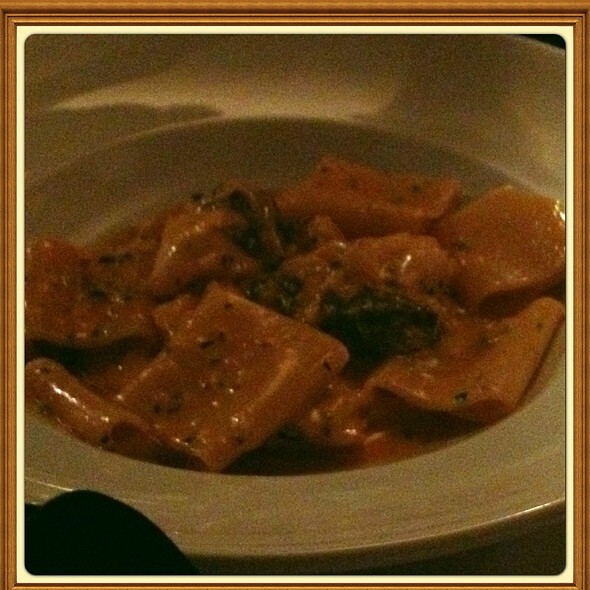 The black truffle pasta dish was sublime. 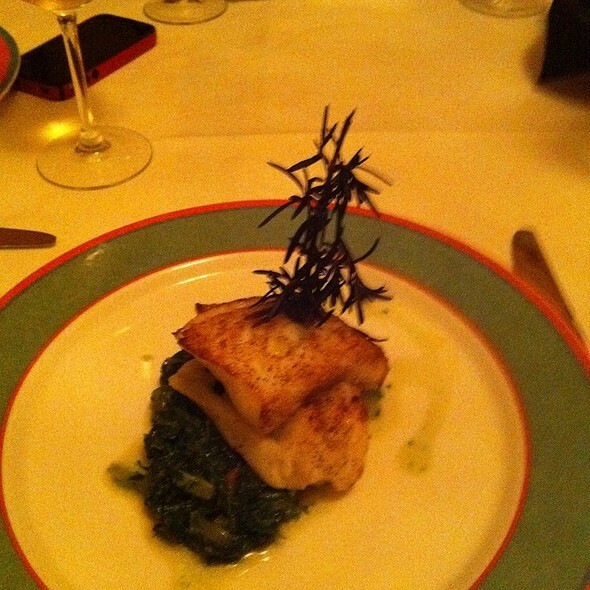 I got the sea bass (which is my go to there) and so did one of my companions. The others had the risotto with asparagus (also one of my favorites) and the spinach ravioli. For dessert we had the panna cotta. We were all pleased and I can't wait for my next visit. Marco was super nice and the food was excellent !!! This is the finest restaurant in Atlanta. Marco, Sandro and their team provide outstanding service with delicious food in a warm, friendly and superb location! Good, consistent Italian neighborhood restaurant. Entree portions are large and good value. The Caprese salad was very tasty even though the tomatoes were out of season. Wine list contains some real values. Another great meal w/ good friends at my favorite Italian restaurant! Food and service was very good, we'll be sure to return. It was very quiet because we went very early before it was very crowded. The music in the background is Sinatra and that era....we really liked that. The food was delicious. The salad was very large so we shared it. All in all it was a delicious, delightful evening. Great food. The service was great. I would recommend this to everyone in Atlanta to try at least once. I felt like I was eating at an Italian restaurant in Italy. A lovely little Italian restaurant with great food. The setting is very cozy. The wait staff is very attentive and plentiful. 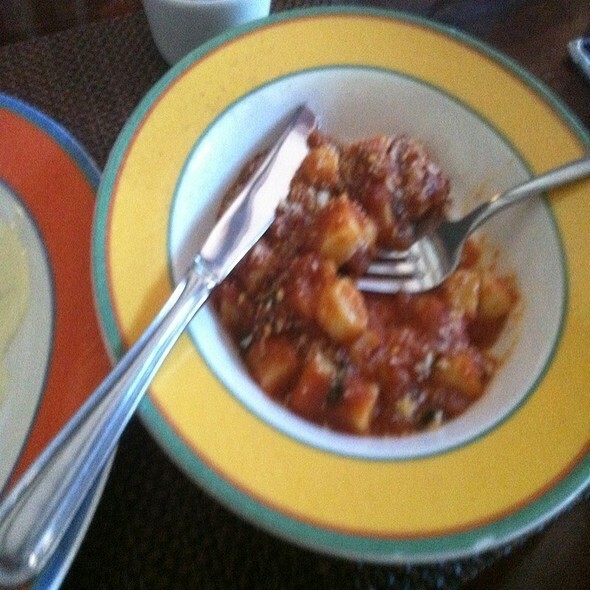 The food is just amazing - the prosciutto on our appetizer plate was so fresh, the ragu was so rich and delicious. It's like going to a great restaurant in Tuscany. One of my favorite restaurants! Authentic Tuscan food in a lovely setting - highly recommended! As always, the food was fresh, outstanding in flavor and variety of menu. Service is very attentive and eager to please. The atmosphere is cozy and warm, however be prepared for noise if there are loud parties in the back dining room. For a quieter dining experience, ask to sit in the front room or bar area - large plush chairs and the room has it's own distinguishable atmosphere. If you have time, and the owner does as well, ask him for a tour and history of the building. When you leave you will feel you have had a mini-vacation to Tuscany! Food was unbelievable and great service by the wait staff. The only downside is the noise can be a bit unbearable. Overall great place to enjoy a great meal. Wonderful evening of great personal service and one of the best meals in the city in a long time! Look forward to a return to this new found gem. 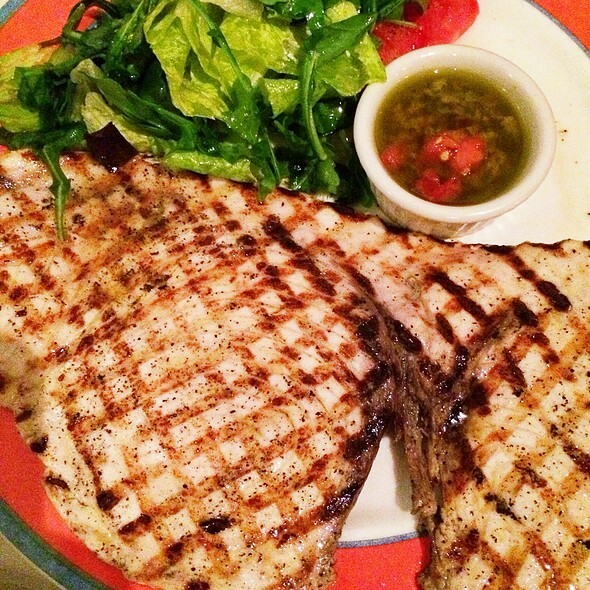 Antica Posta is our favorite Italian restaurant in Atlanta. The grilled octopus is wonderful and we like the veal and seafood rissoto as well. Service is excellent - even the weekend right before the super bowl! I look forward to going to Atlanta so I can eat there! Service excellent. Stephanie (our server) was just perfect. Menu and wine list are great. Of the several dishes we ordered, many were really excellent and all were decent. We were in a back corner which was not noisy and was perfect for a nice fancy dinner. Overall the dining room we were in seemed a little noisy for a fancy dinner. Delicious!! Great service. Quiet. 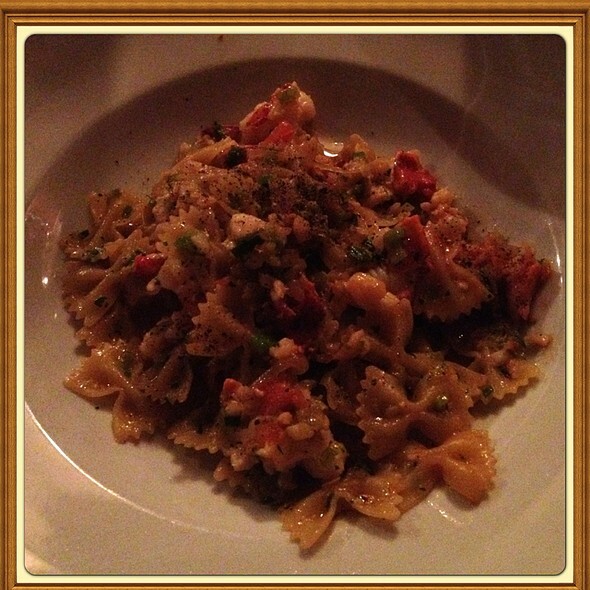 Our favorite dishes were the grilled octopus and the Truffle creamy pasta. 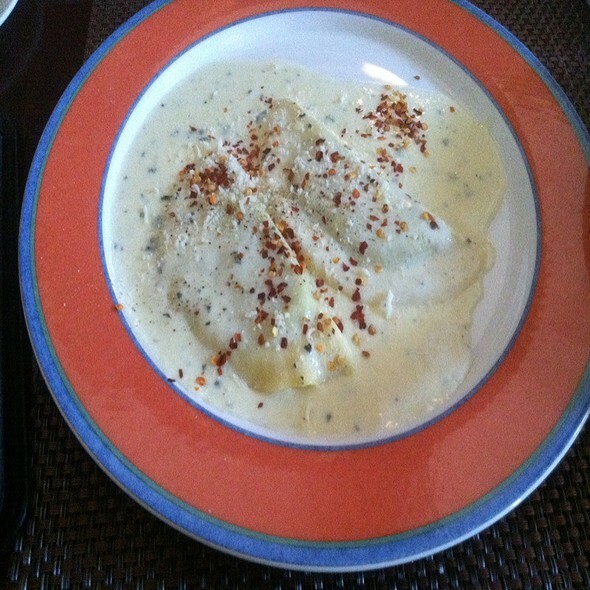 Wonderful to have a cream-based pasta that was not heavy but so tasty! Antica Posta does not dissappoint. Their grilled octopus appetizer is wonderful! Also, we love the seafood rissotto and their veal. The ONLY thing in need of improvement is the LIGHTING! Contact a Lighting Designer! Sheila Sullins with Atlanta Lighting Design, INC. for a Renaissance @ Antica Posta!!! Viva Italia!!! !